I wrote this as a ten-part Christmas story for the Princelings website in 2012. It introduces Dylan and Dougall, two princelings in the far north, from a castle in the middle of nowhere, or rather, at the end of the earth, called Castle Haunn. If you check against the stories of Fred, George, Victor and Hugo going to Mull, you’ll find where this story is set! It tells how Dylan is sent with a message to the nearest message centre, miles away across the sea, while Dougall tries to fix the problem with their energy supply, but gets into trouble anyway. On the way back, Dylan finds some people up to no good – and then his adventures really begin! I edited it down to seven chapters, and produced it as a free ebook the following Christmas – you can get it for your ereader, or as a pdf to read on your computer – at Smashwords. 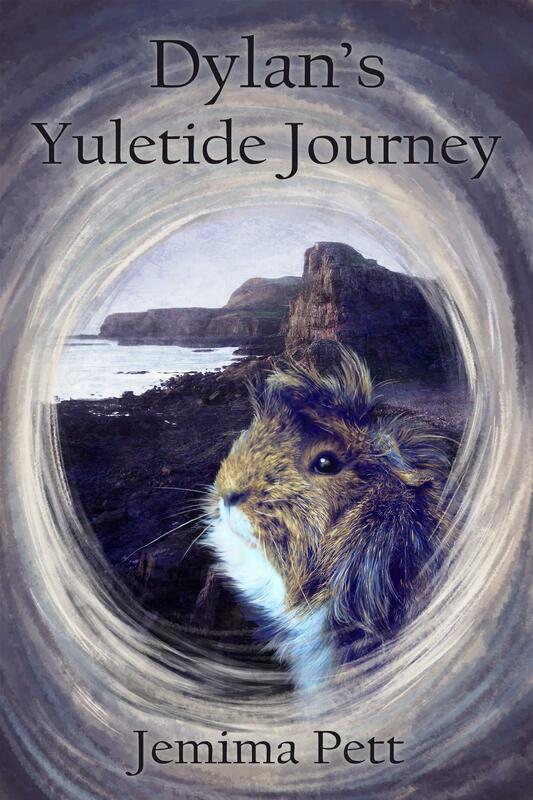 Dylan’s Yuletide Journey was included in the first BookElves Anthology, and the following year I wrote another featuring them, with Dougall in the leading role, called Dougall’s Reindeer Adventure. It’s more fantasy than the other stories, with an appearance by Father Christmas. Then, around the time I published the Princelings of the North, which was when the pair of them featured in a full book as part of the Princelings of the East series, I wanted to help the people near Haunn to buy the island of Ulva. I brought out Dylan and the Lights of Ulva as a reward for anyone contributing to the islanders’ fund at my JustGiving page. I plan to bring the three novellas out in one collection some time in the future. I don’t know whether there will be more Dylan and Dougall stories, since a lot happens to them in the Princelings of the North. Have you noticed how much Neville looks like them? Seems like an opportunity for a case of mistaken identity! I’ll see whether they need more stories after I’ve finished the Princelings series. But then, maybe the other guinea pigs will need stories of their own.